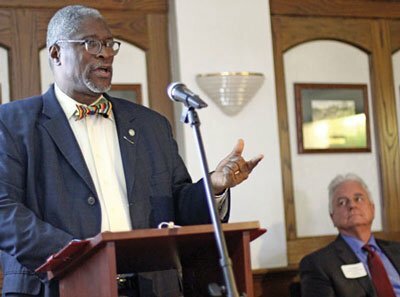 Kansas City, Mo., Mayor Sly James congratulates the NUCA KC Chapter at its inaugural ceremonies and recognizes the vital work of the region’s utility construction industry. Rising from the geographic center of the contiguous United States, a new NUCA chapter has burst onto America’s heartland with great fervor. Remarkably, it’s happened just over the past few months. Spearheaded by the utility contractors and industry suppliers based there, NUCA of Greater Kansas City Region has become one of the region’s most esteemed groups, thanks to its active membership, rapid growth and triumphant grassroots movement that got it started. The Kansas City region — straddling both Midwest states of Missouri and Kansas — is where jazz, Royals baseball and epic barbeque reign along the Great Plains. It’s also booming with a wide range of excavation and utility construction work. 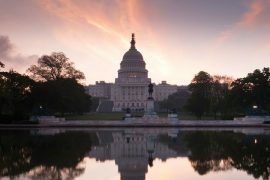 Kansas City, Mo., officials, for instance, recently unveiled plans for a massive $4.5 billion sewer separation project called the “Overflow Control Program,” the region’s largest infrastructure investment ever. 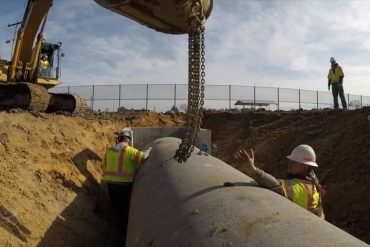 With utility construction thriving there, the need for greater industry advocacy and outreach became apparent on many fronts. More than 120 utility construction professionals gather on Jan. 25, 2017, to celebrate the successful launch of their new NUCA Greater KC Chapter. 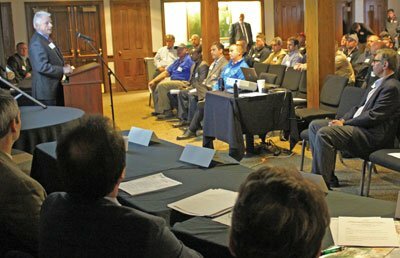 Chapter President Jim Kissick highlights the chapter’s plans for advancing the region’s utility construction industry. Jim Kissick, president of Kissick Construction Co., Kansas City, Mo., is one early champion who rallied fellow excavators with the idea of forming a regional NUCA chapter. He was inspired by neighboring state chapters — Nebraska and Iowa — and what they’ve accomplished over the years. 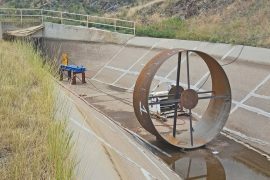 The idea quickly gained momentum with Kissick and the region’s utility contractors. Banding together in 2016, forming a core organizing group, their ranks grew to 30 representatives who attended formative meetings at the KC offices of Mark One Electric and Garney Construction. By year’s end, the founders elected a 13-person local Board of Directors and completed the chapter’s formation. Their efforts were guided by NUCA Chapter Development Director Kenneth Sommer, who helps facilitate local NUCA chapter startup movements. The KC Safety Committee meets to share know-how on local safety awareness and compliance. A “topic of the month” or guest expert gets the roundtable discussion rolling. Thank you to ASP Enterprises, Kansas City, for hosting the first meetings. “Now as the NUCA KC Chapter, we’re working directly with industry officials and local government to help improve systems and ease regulations on our industry,” observes Tony Privitera, vice president of Mark One Electric, Kansas City, Mo., and the chapter’s president-elect. Since its early 2017 launch, the KC Chapter’s membership has grown rapidly from zero to nearly 60 member companies. Its “Founding Members” campaign is rallying the troops and growing membership even more. “What a rewarding journey it’s been to see our own chapter come alive and prosper here, thanks to the group effort of many NUCA champions here in the region,” remarks Privitera, a chapter founder and now a NUCA National board director. 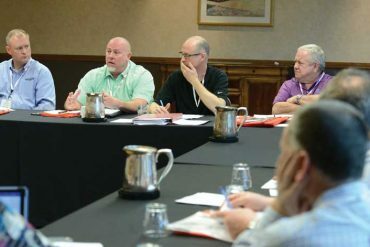 Still in its infancy, the chapter has begun holding training workshops, safety roundtables, committee meetings and popular networking events. NUCA KC Board of Directors convene their first business meeting and set plans for the year ahead. Thank you to Holmes Murphy & Associates, Kansas City, for hosting. The chapter’s regional territory covers 19 counties surrounding Kansas City on both sides of the Missouri-Kansas border. Even companies outside this region are welcome to join. The chapter’s growing membership roster includes such prominent Kansas-based contractors as Heartland Midwest, LAYNE Inliner, Linaweaver Construction, Miles Excavating, Rodriguez Mechanical Contractors, RLM Underground and Westland Construction. 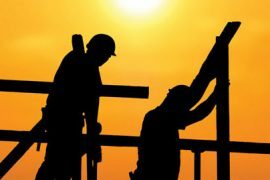 From the Missouri side, contractor members include Beemer Construction, Blue Nile Contractors, Central Plumbing, Emery Sapp & Sons, Garney Construction, Genesis Plumbing, Havens Construction, InfraSource, Leath & Sons, Redford Construction and Site Rite Construction. 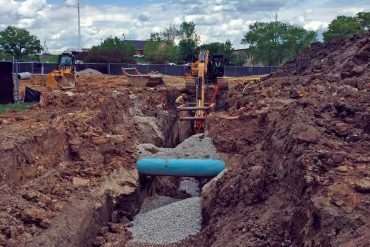 “If you’re involved with excavation and utility work, join us here in greater Kansas City during this exciting historic first year,” invites Kissick. 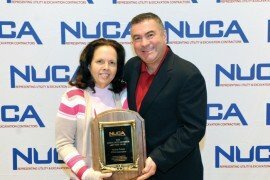 For information on chapter membership and events, visit www.nucakc.com. Office: 703. 890.7805. Email: kc@nuca.com.